Yesterday I was able to get some sewing time in. No, I didn’t work on my Amazon Star. One of my friends was visiting from Pennsylvania. I only get to see her once a year and she asked me if I could teach her how to quilt. So I told her I could help her make a bag to take home. 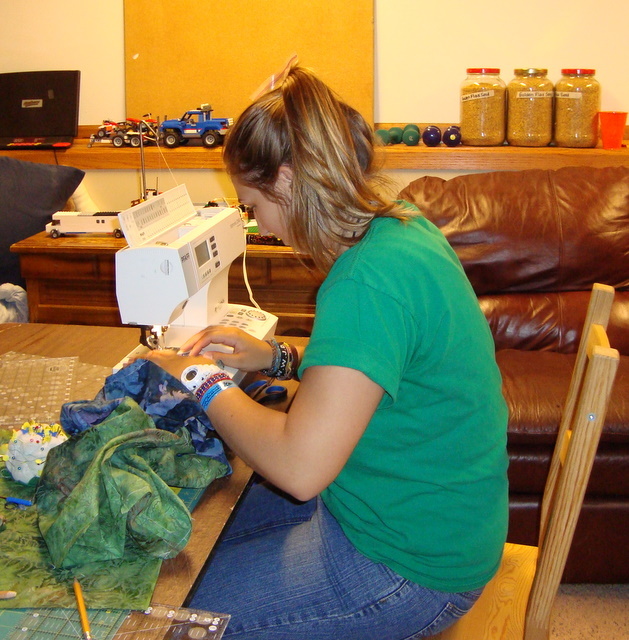 This was her first time ever using a sewing machine. And next week I have another teaching session with her cousin. I don’t have to wait a year to see her.